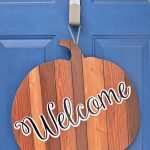 I love decorating my front door with a new wreath each season. This summer I was trying to think of something a little different so I went to the dollar store for some inspiration. 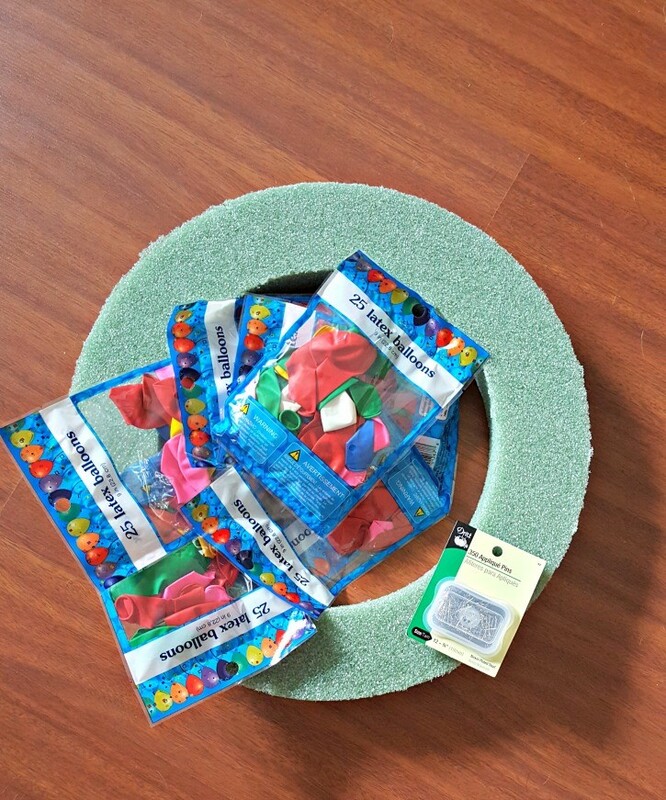 The dollar store is great for inspiration, they have lots of random items at inexpensive prices. I found some bags of balloons and decided to make a balloon wreath! 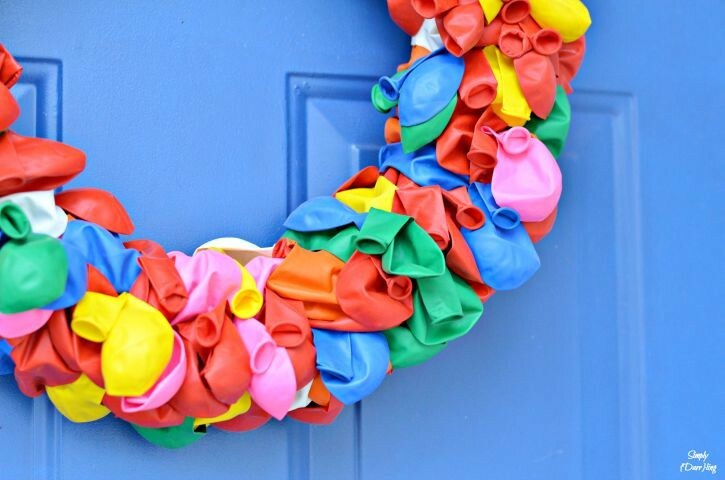 This balloon wreath is very easy to make, it probably took me about an hour to make. I started by covering the inside of the wreath. Use two pins per balloon in order to keep them flat against the form. It helps if you sit it vertically so that you can see how the balloons will fall when it is hanging. Once I filled the inside of the wreath, I worked around the outside and went all the way around the form. Once the outside and inside edges are filled in, use the rest of the balloons to fill in the front. For these balloons, I used a single pin so that the balloon would fold over the pin and cover it. 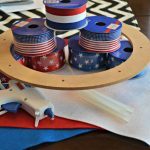 Not only do these last balloons fill in the last bit of the wreath form, they are also used to cover the pins used to attach the original balloons. For some reason my bags of balloons had a ton of red balloons. I tried to use all of them first in the initial filling of the wreath and then fill in the gaps with the other colors. The colors of this wreath really pop on the bright blue front door. 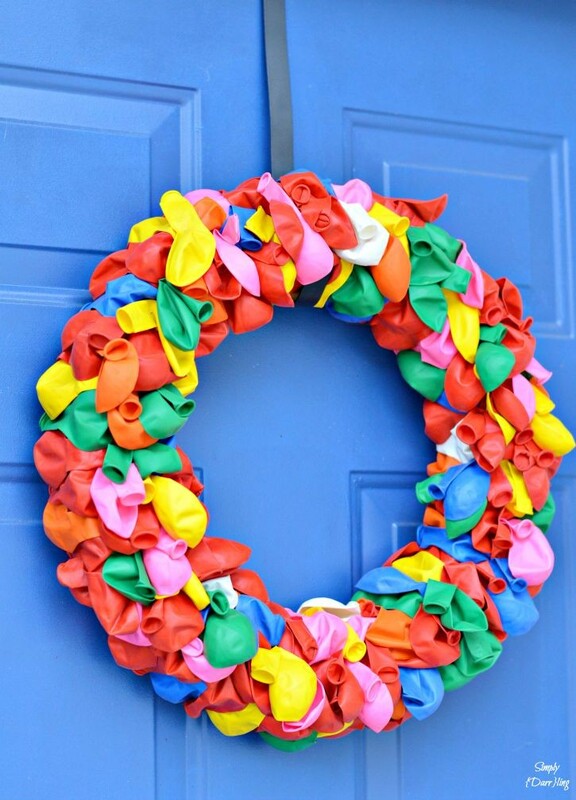 In addition to making this wreath simply for summer, it would also be perfect for a birthday party or summer BBQ (especially if there is going to be a water balloon fight). 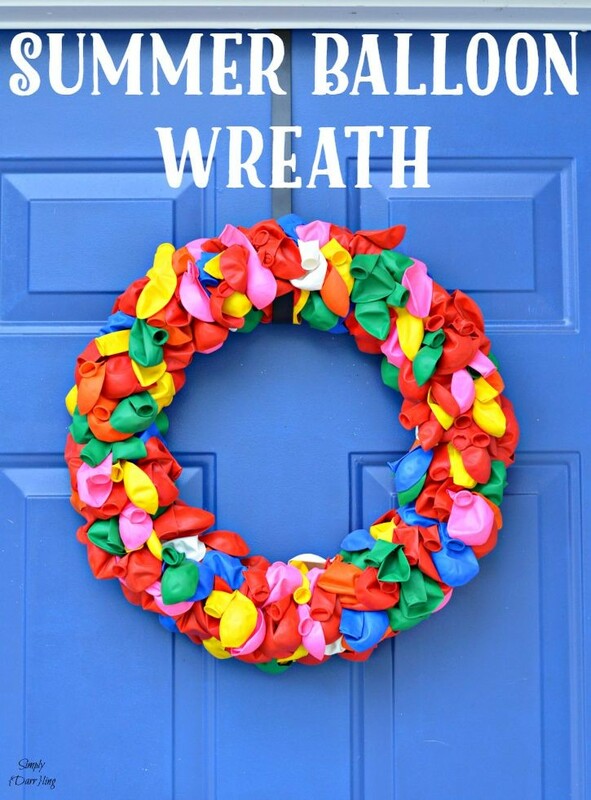 If you wanted to be more intentional in the colors of your wreath, you could buy bags of specific balloon colors. What event would you make one of these wreaths for? Let me know in the comments! What a pretty, colorful wreath idea! That is so much fun! 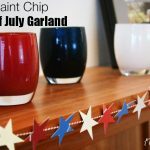 Perfect for Summer, or a bday party! This is so much fun, but I am not sure I would have the patience to pin all of those balloons to the wreath form, lol! :) And thus, why I am rarely crafty- ha! Love this. 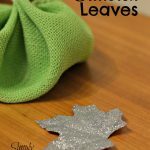 So much fun and it looks like it was pretty easy to make. Plus it would weather well.